Every fall I totally jump on the bandwagon of all things pumpkin. There’s pumpkin spice this and pumpkin spice that, all of which don’t offer much nutritional value. While it’s nice to treat yourself, it’s a bonus if there is some goodness to what you are indulging in. I came across these vegan pumpkin spice energy bites and knew I had to try them. 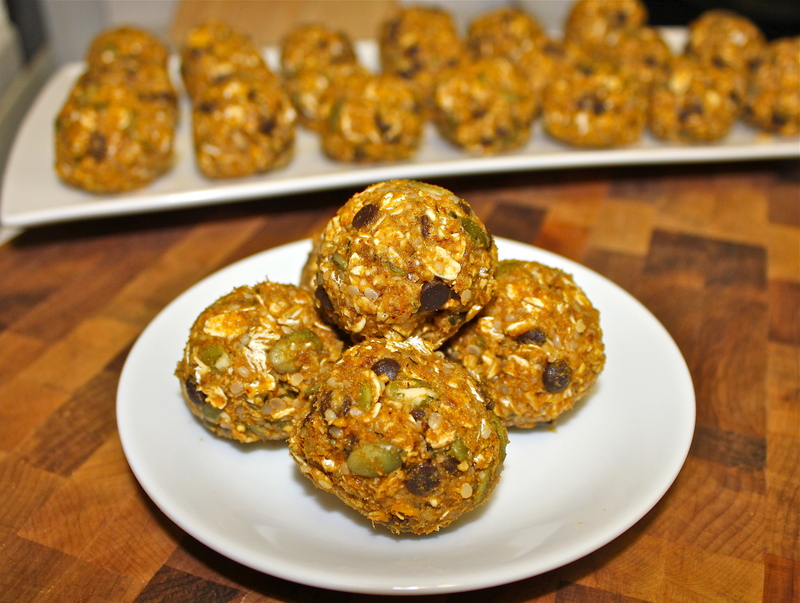 These bites are super easy to throw together, very filling, packed with energy, and satisfy that sweet craving. They can double up as breakfast, a snack, or dessert. Check out the recipe linked here, or below with a few of my own modifications. Combine dates, almond butter and half of the oats in a food processor. Process until finely chopped. Transfer to a large bowl and add remaining ingredients. Mix well. Refrigerate for an hour (easier to then roll). Roll mixture into balls and store in refrigerator in airtight container. Makes 20-30 balls.